[edit1]Interesting because while proper AF does cost some performance, a LOD bias causes rendering less complex objects which has additional advantages (not for the user of course, but for overall performance and utilization, increasing apparent efficiency). 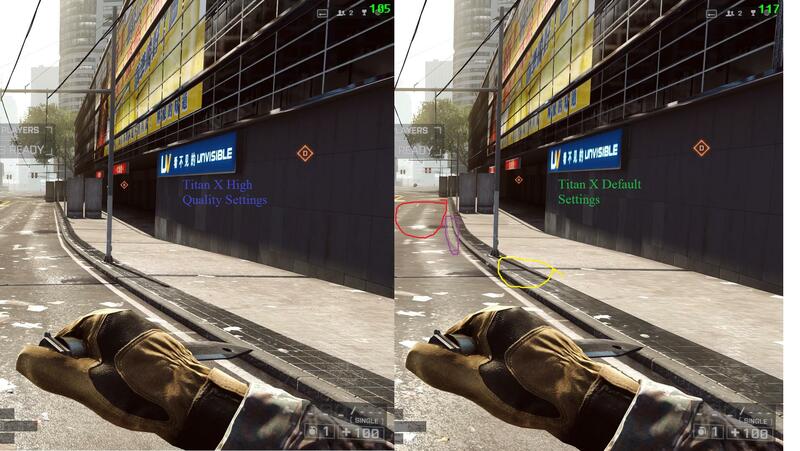 [edit2]Further Titan X screenshots driver quality settings on default do not exhibit such a behaviour. Maybe something in the settings used for that comparison is screwed up. Edited by samm, 04 July 2015 - 07:00 AM.